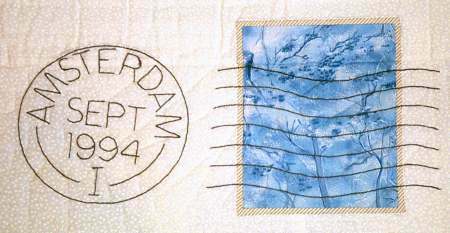 September, 1994 – Holland – The ancient houses along the canals of Amsterdam are tall and narrow. 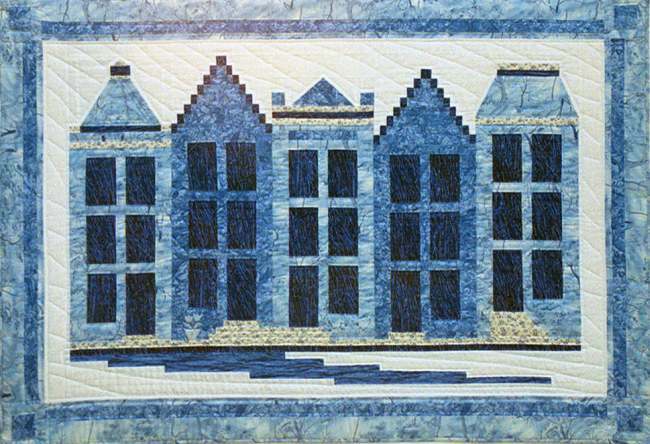 These buildings are pieced with basic “little house” parts and techniques. Log Cabin strips form the roofs. The blue colors are adapted from antique Delft tiles.